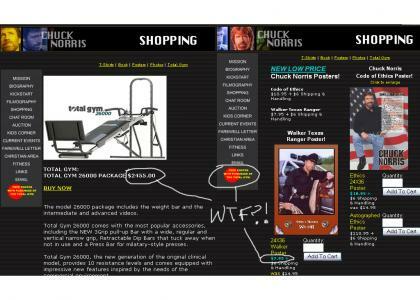 Chuck Norris Is Gettin Real Paid! Chuck Norris is gettin real paid! Buy a gym ($2455) and get a free poster ($7.95)!